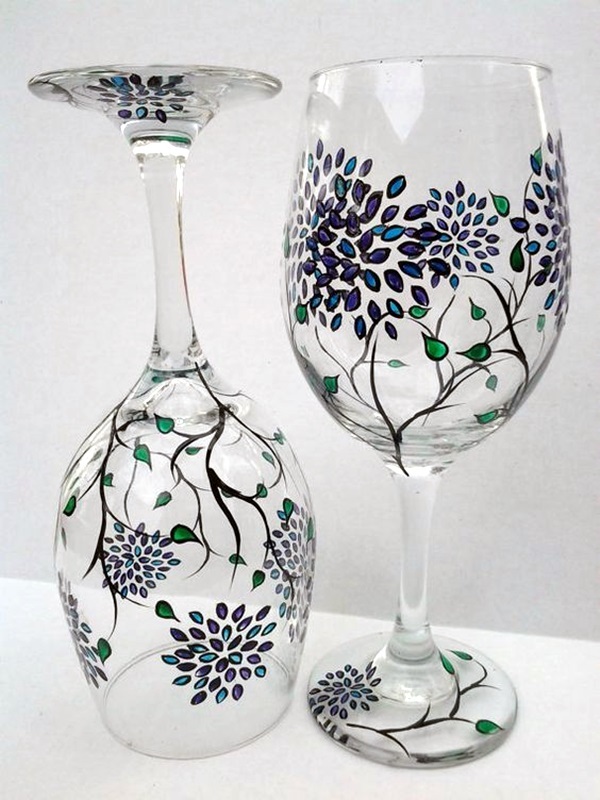 Wine glasses as they are bring a lot of joy and relaxation into your life but the joy they bring expands even more when you take in the artistic pleasure they can bring. 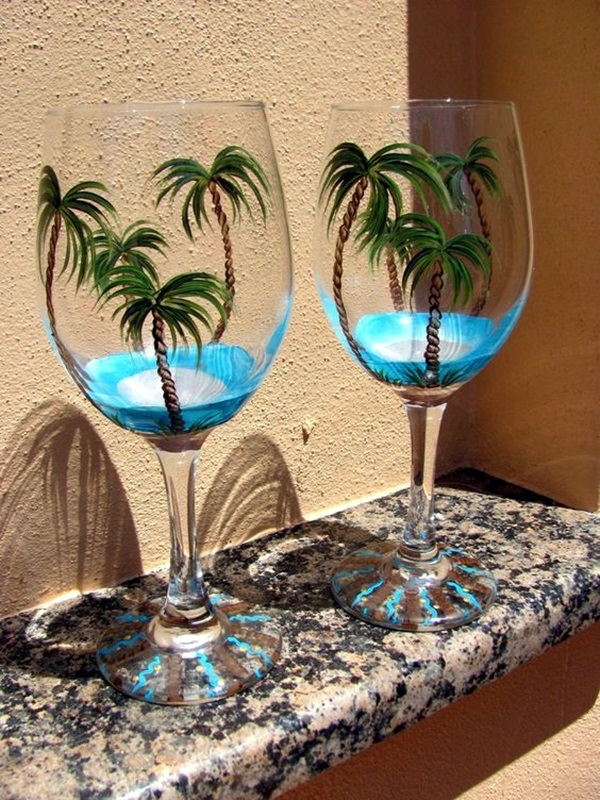 If old and used wine bottles can be used to create art, then why not wine glasses? 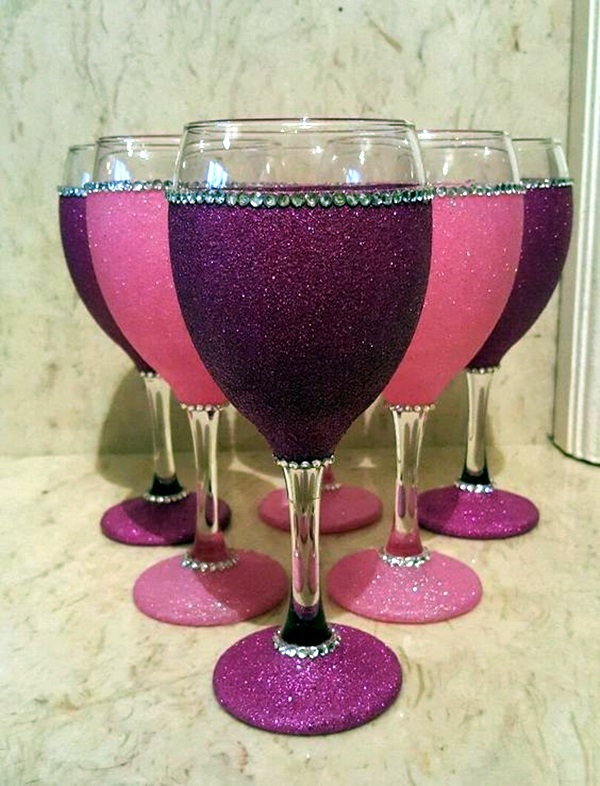 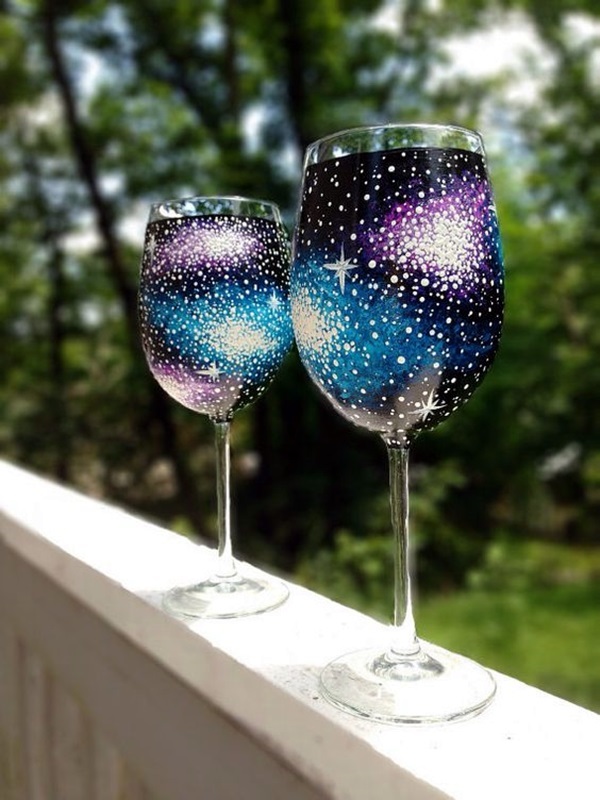 The fact of the matter is that you can actually paint on wine glasses and still use them to drink wine from. 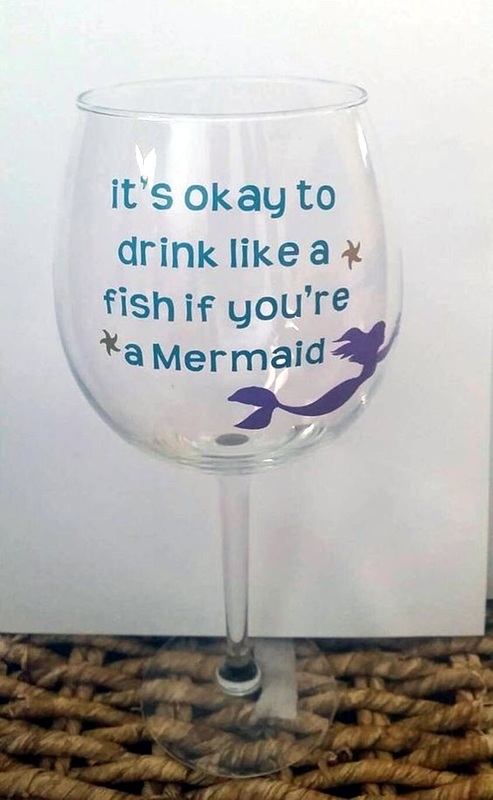 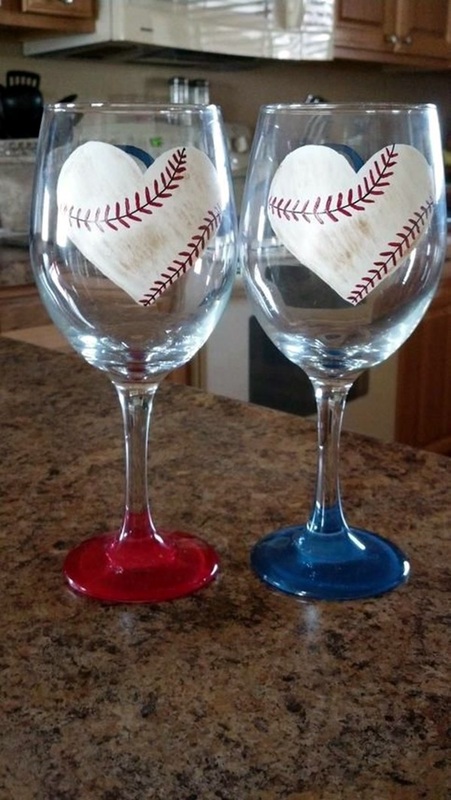 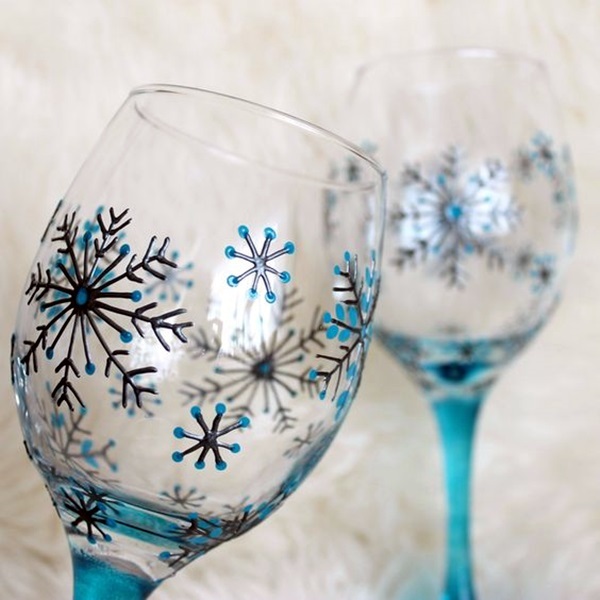 Doing this can actually make your wine glasses unique and of a design that would not be available off the shelf, which means that nobody else will have the same design on their wine glasses. 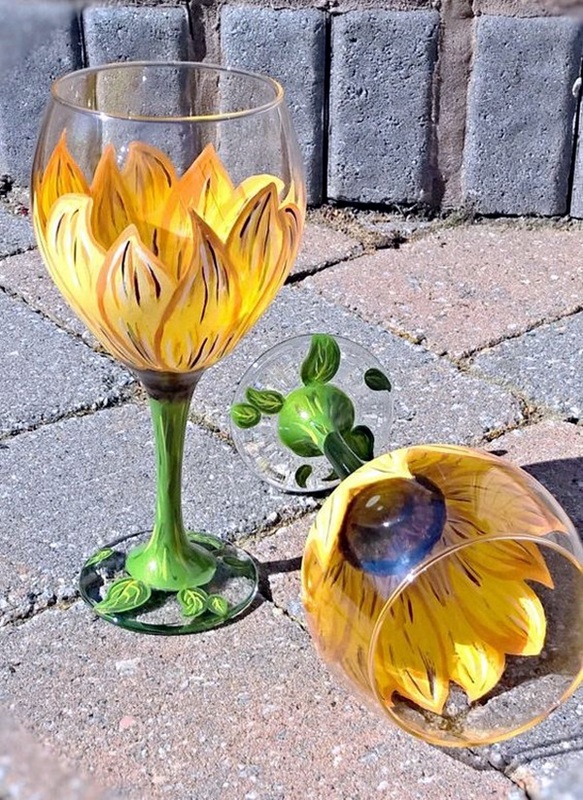 Check out intelligent ways to use your old wine bottles and you may be able to glean a few ideas on painting your wine glasses from that. 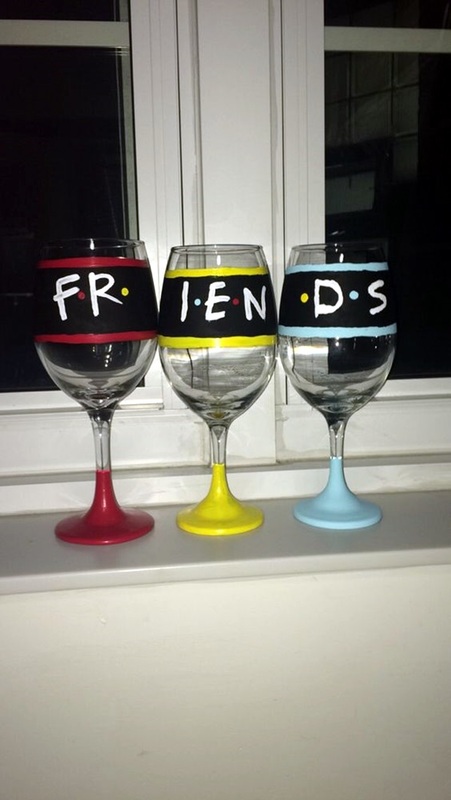 In fact, while you are out there looking at ways to use wine bottles to get ideas on decorating wine glasses, we suggest you look at beautiful wine bottle lamp ideas so that you have an arsenal of ideas available for you to use. 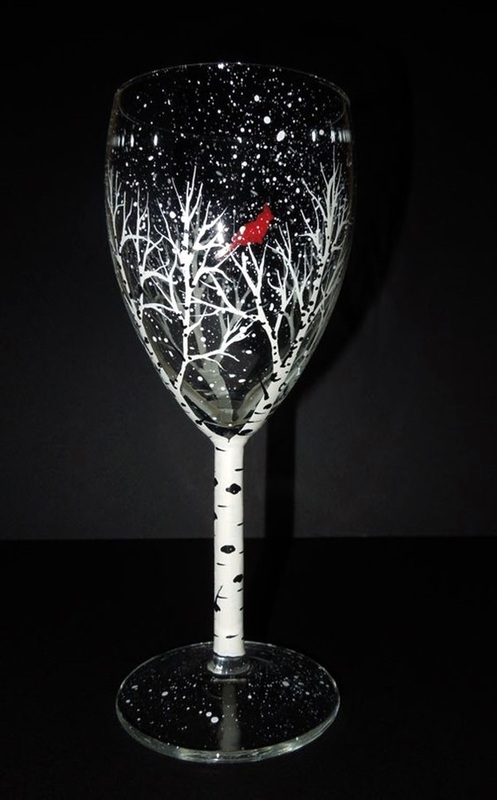 In this article, we are going to look at wine glasses and art, with painting them becoming the focus. 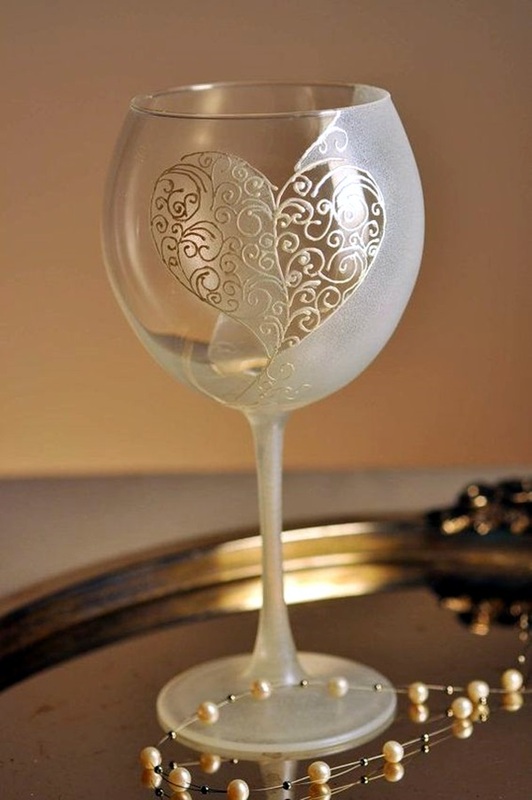 That is why you need to learn about two things – the kind of paints that will be durable on the glass surface and the kind that will not be harmful even if ingested to a certain extent. 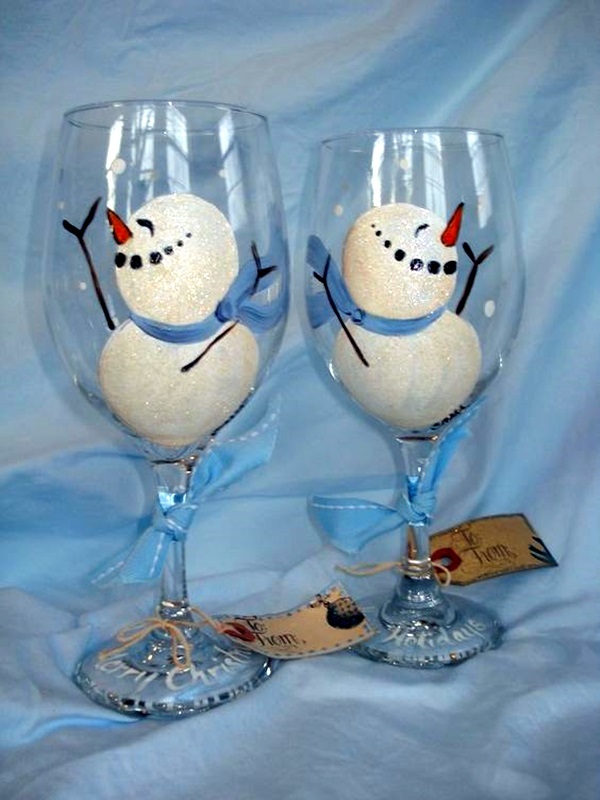 The second factor from which you could benefit is a tutorial about brushes and learn all you wanted to know about them. 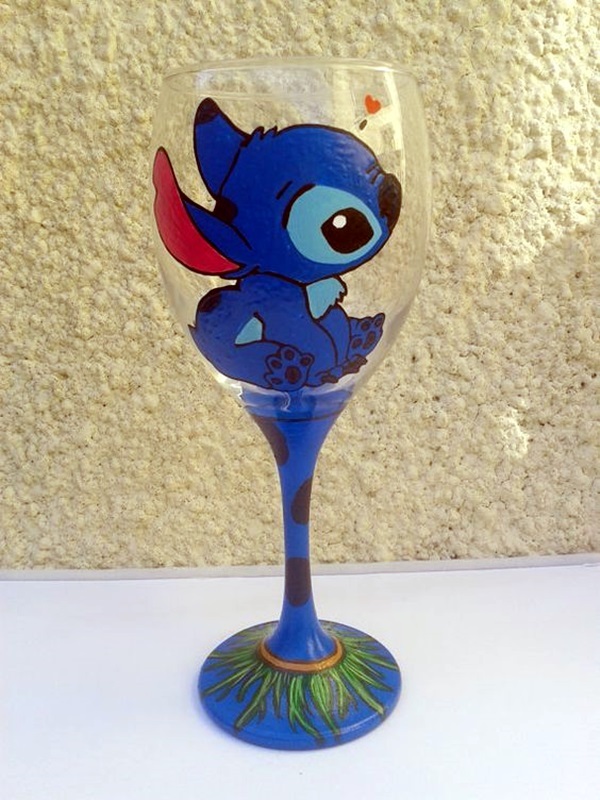 This will ensure that you know which brush you need to paint a certain design on the wine glass that you are painting on. 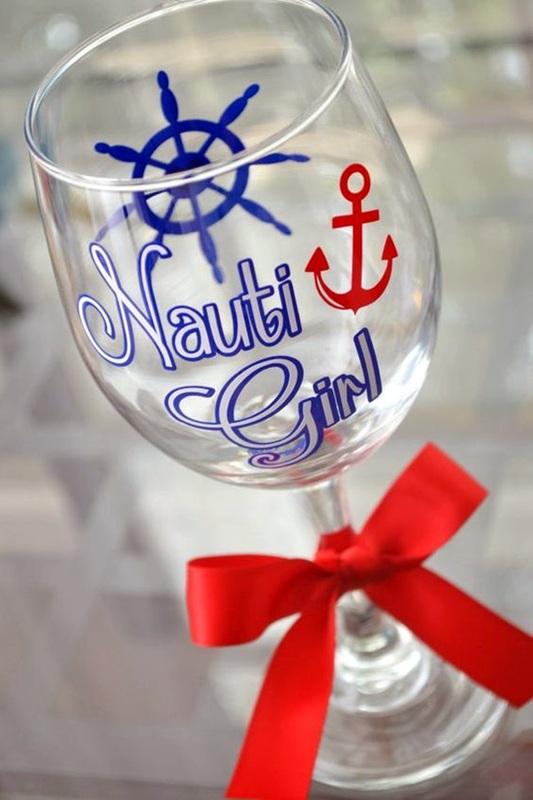 Since wine is something people drink as adults along with a sumptuous dinner, the theme of a wine glass has to be joy, celebration, relaxation and cheer. 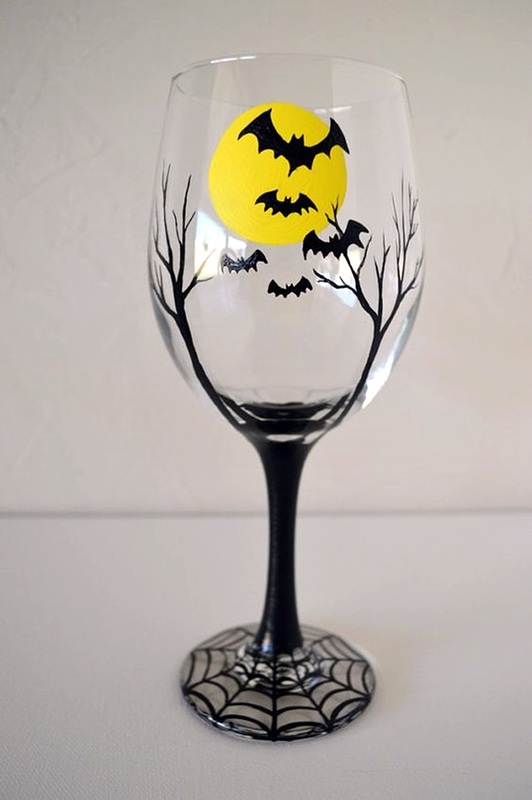 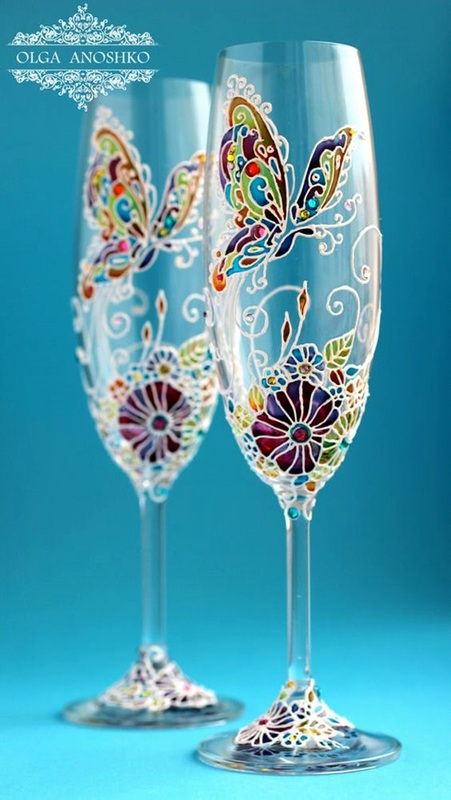 Which means that some of the designs that you can paint on wine glasses could include motifs that are evening based. 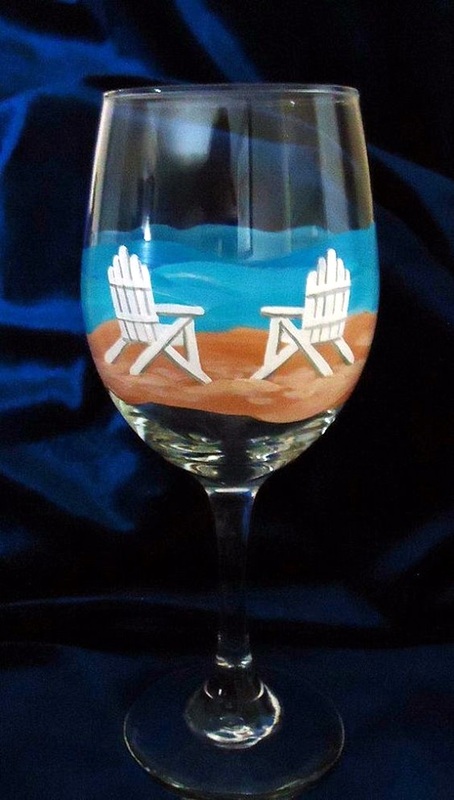 For instance, you can draw the image of a sun setting on the wine glass, which is not only pretty to look at but also very apt as wine is normally drunk after sunset. 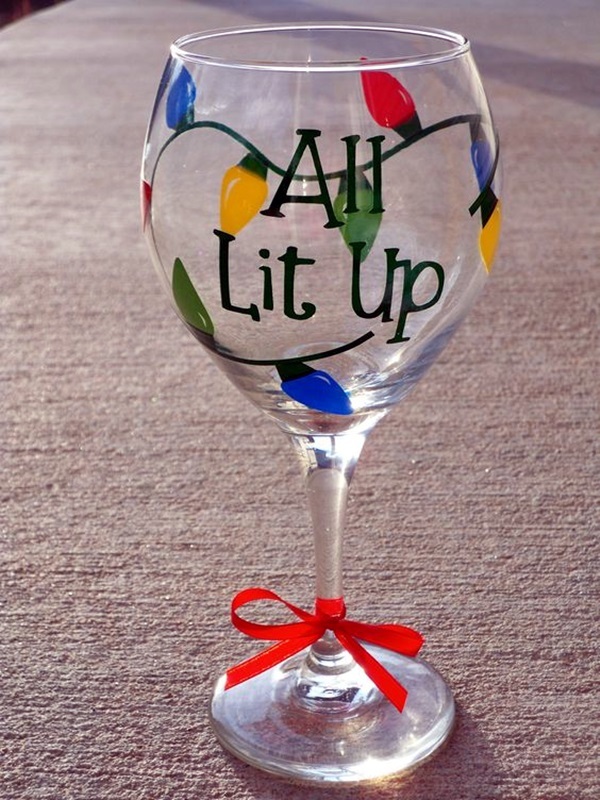 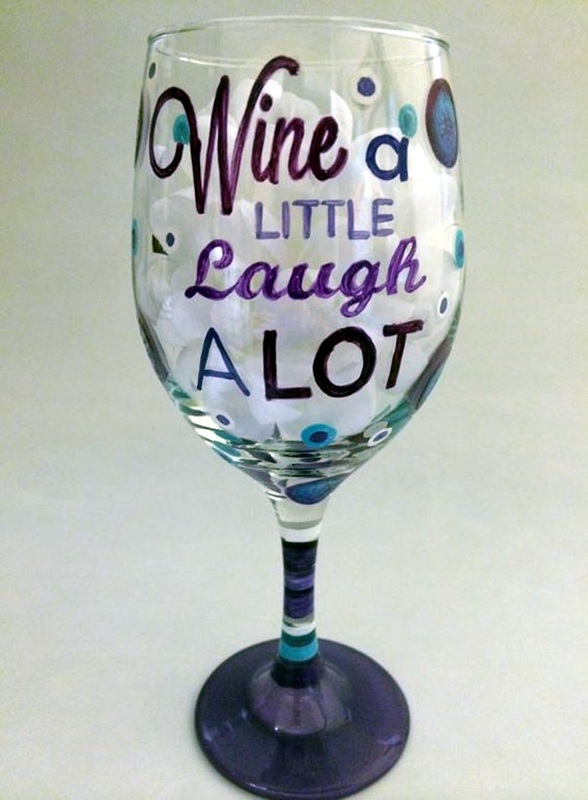 Or you can have the wine glass painted with a saying that asks you to relax and chill out as the time is right for it. 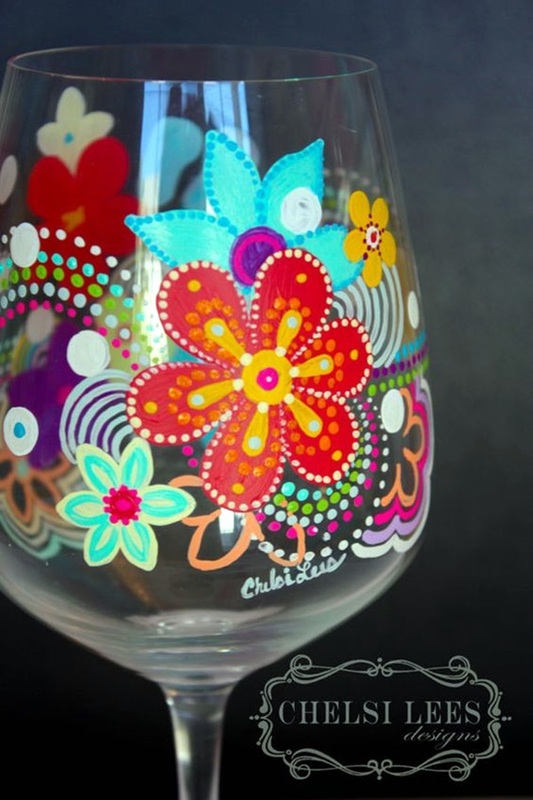 You can also simply go for colorful flowers painted on the outside of the wine glass to make the drink look even prettier when seen through the transparent glass. 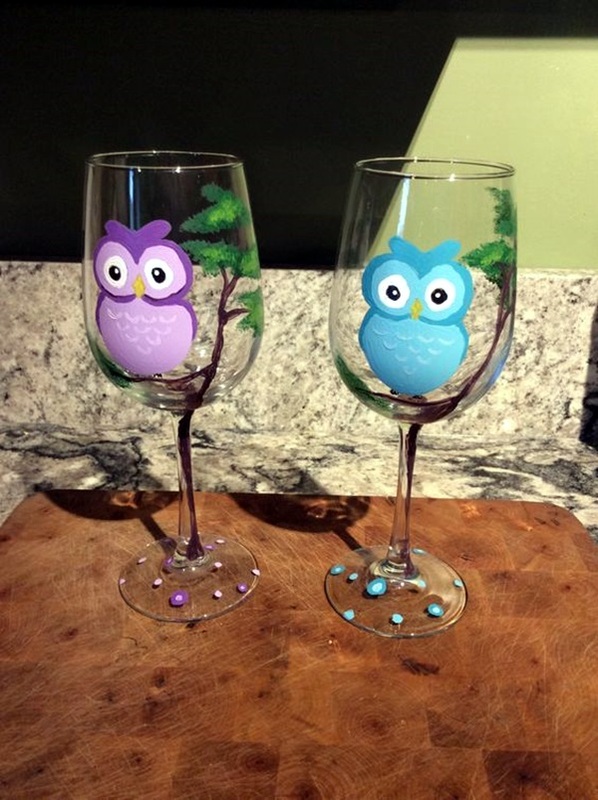 You can also paint the wise and nocturnal bird – the owl – again an indication that wine is the apt drink to have in the evenings in order to chill out. 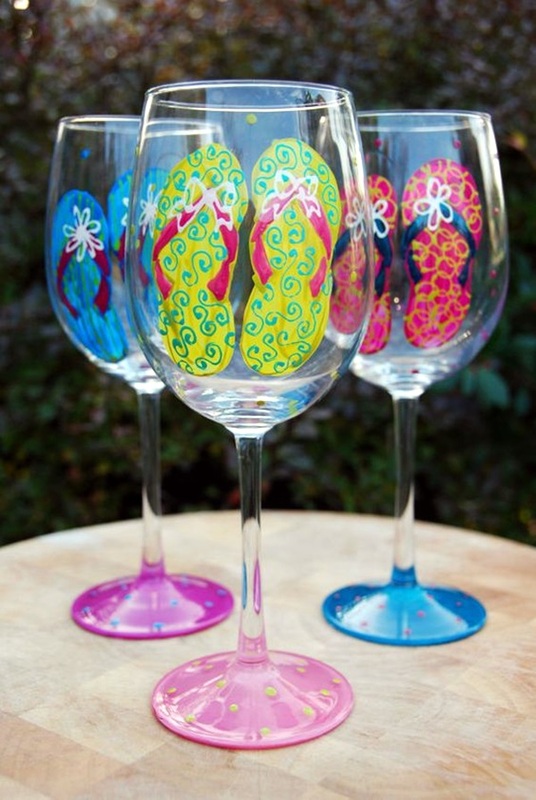 If you are feeling patriotic, then you can paint the designs on the wine glass using the colors of your flag. 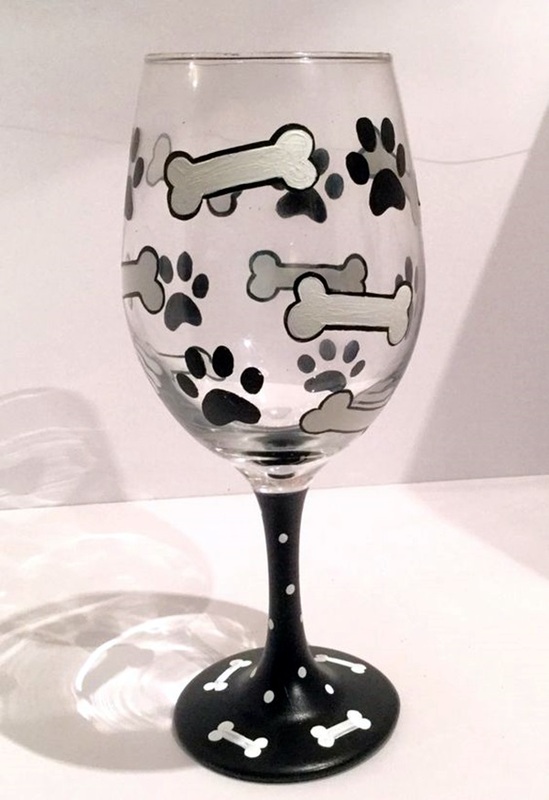 If you are into retro motifs, then paint animal prints like leopard print on the glass and you can feel like feline animal of prey when you are sipping that glass of wine along with your dinner or on its own. 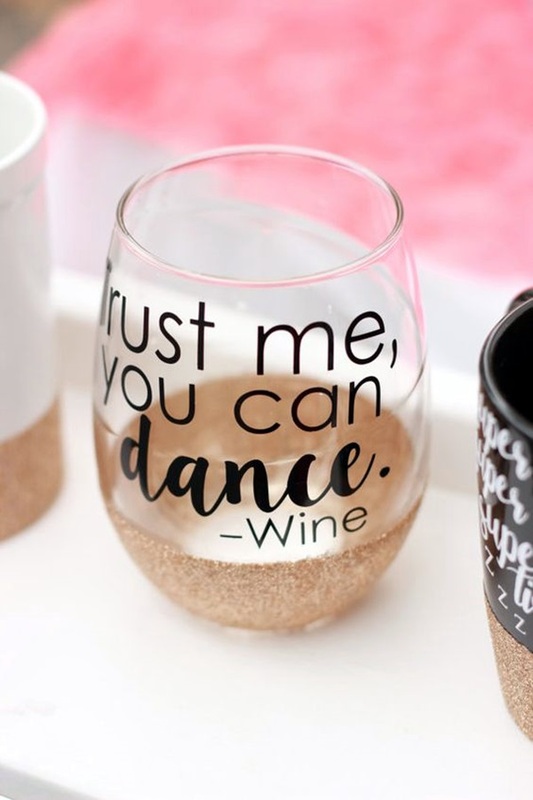 Alternately, if you feel that you want to honor the source that provides the wine that you are enjoying – a bunch of grapes. 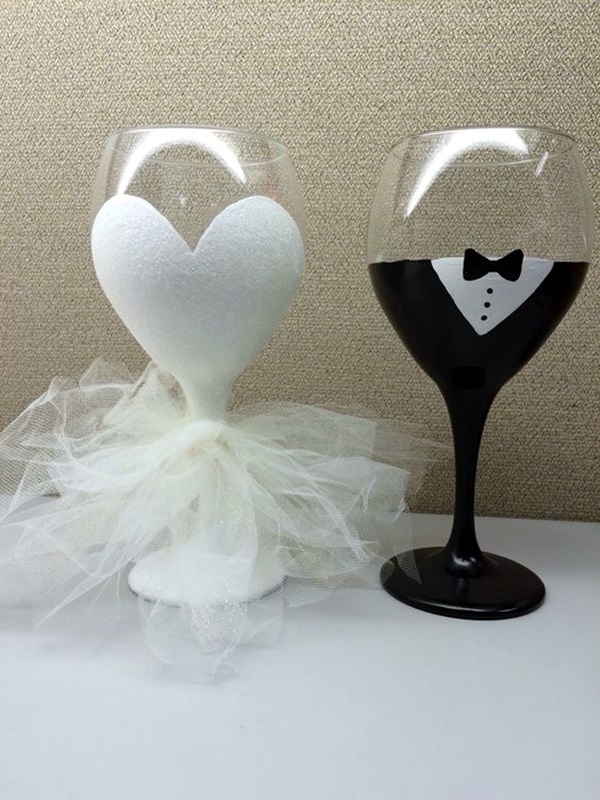 If you are going to be using the wine glass for a particular occasion like a wedding, then you can paint a symbolic wedding gown on the bride’s glass and the tuxedo outline on the groom’s glass. 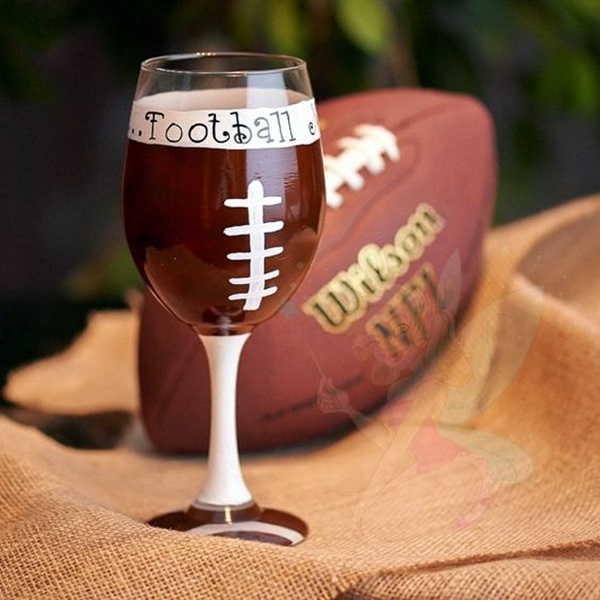 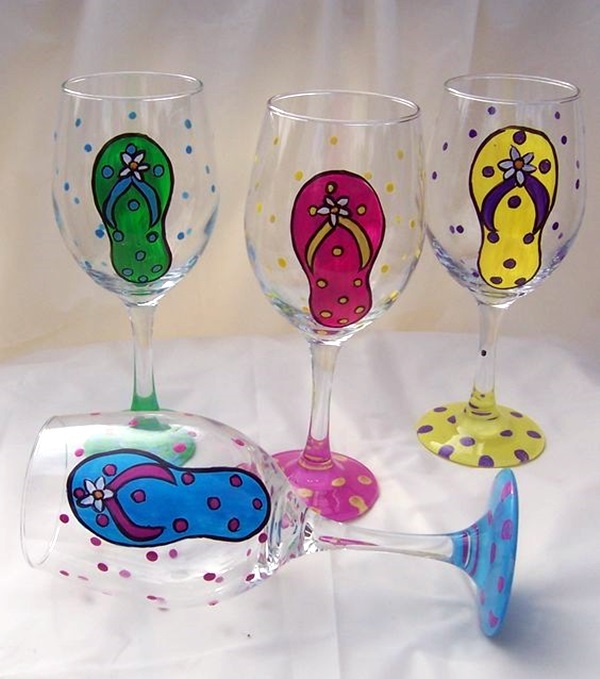 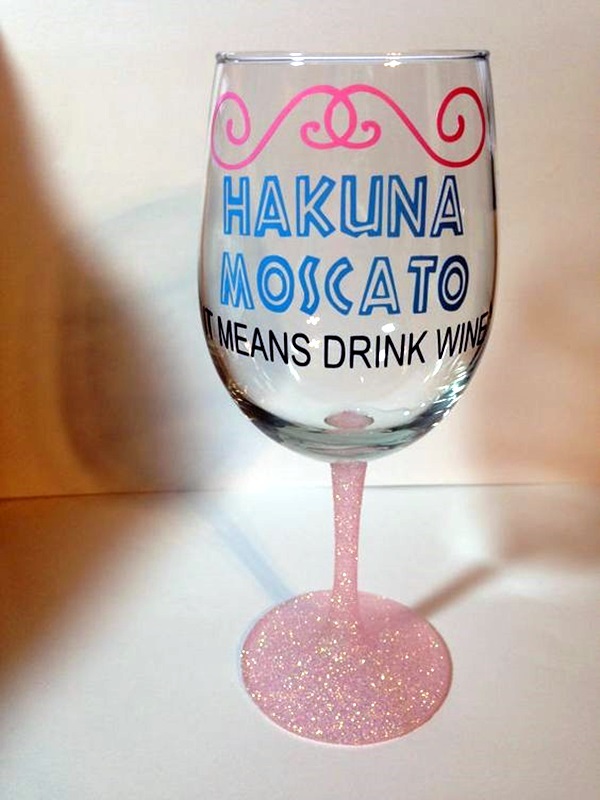 The themes, designs and motifs you can paint on a wine glass are unlimited and the choices are numerous. 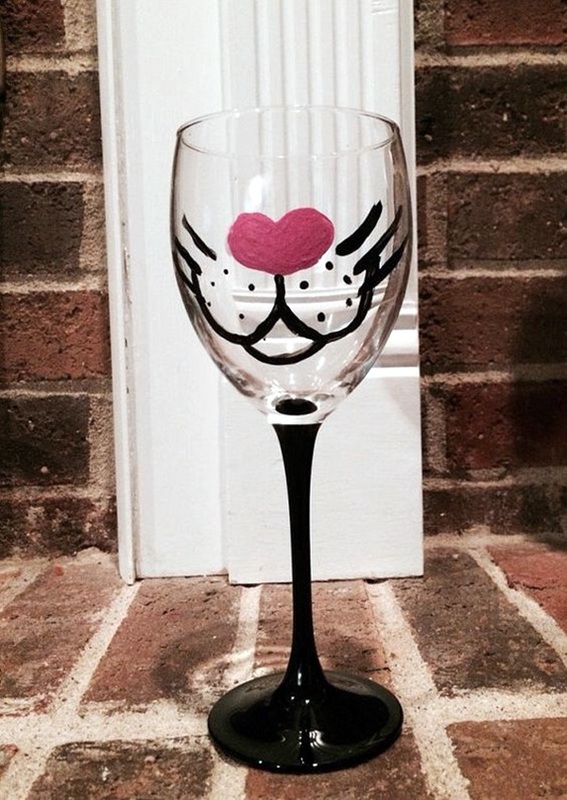 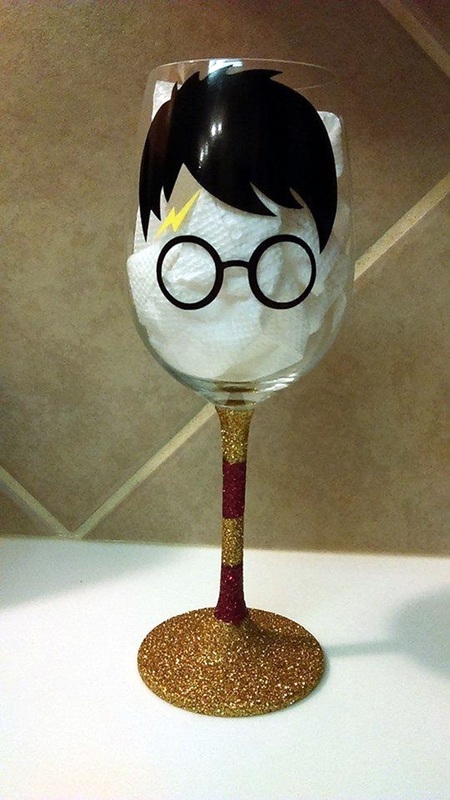 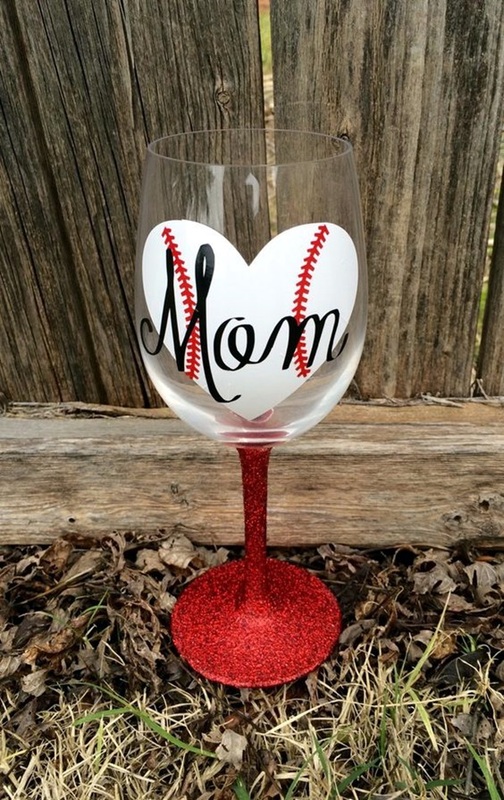 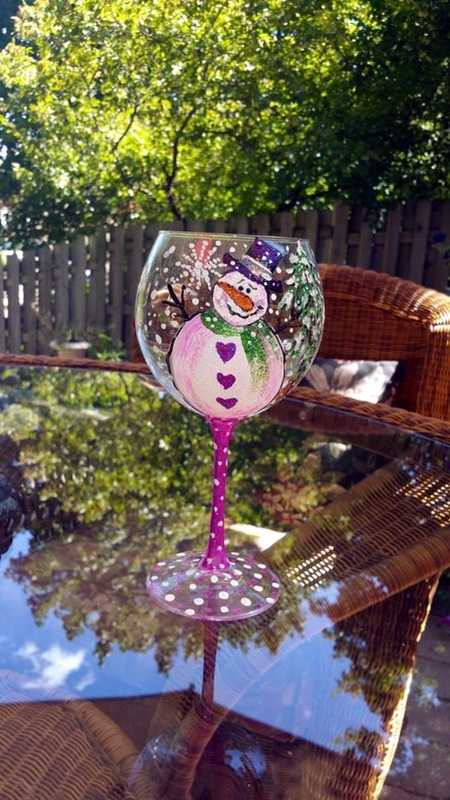 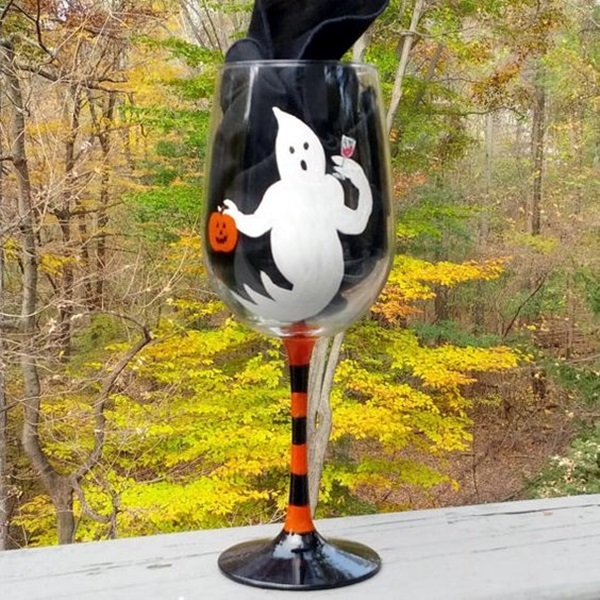 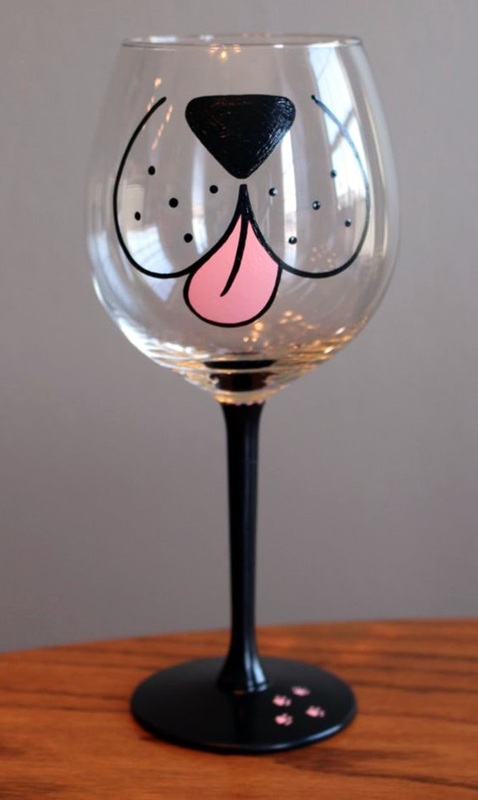 It depends on you as to what you would like to paint as part of your wine glass art project.